Welcome Cusco Hostel i Cusco, Peru: Reservér nu! 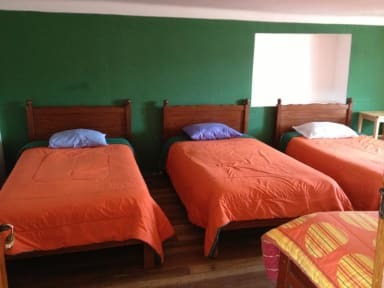 Welcome Cusco Hostel with unique atmosphere in the heart of San Blas will make you have an unforgettable experience. The walk up to our house is great training for all the treks you are going to do in the next future, it means you are a little bit tired but as soon as you arrive to our house you will see the walk was completely worth it!!! 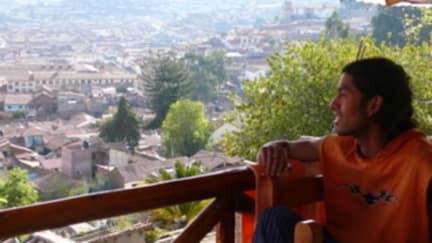 The best view of all of Cusco. We offer you a tranquil and peaceful place to stay and relax. It is a place where you can meet other travelers like you. Our lovely breakfast is served from 7.30 am to 10 am. The marmalade is home made and the juices are squeezed every morning (variety depends on the season). Details of local activities and attractions can be found in all rooms helping you to plan your days during your stay at Welcome Cusco Hostel. Welcome Cusco Hostelhas a non-smoking policy. However, there is a terrace in which smoking is allowed. Check out time at 10: 30 am.